For almost forty years, Northern Light has been providing specialist electrical contracting services to the construction industry in a wide variety of new build and refurbishment projects across the UK and internationally. Northern Light's services include consultancy on and technical fit-out of venues which require stage engineering, sound systems, lighting systems or audio visual systems. 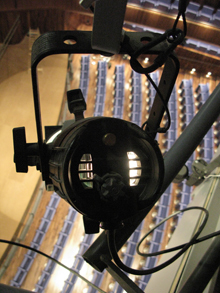 Our specialist team can also offer assistance with design and specification of theatre and stage systems. Additional services include the design and installation of architectural or interior lighting, maintenance of entertainment equipment and service contracts covering all sound, lighting and stage equipment.